A Massachusetts man was pulled over for a broken taillight. Then police found bodies. 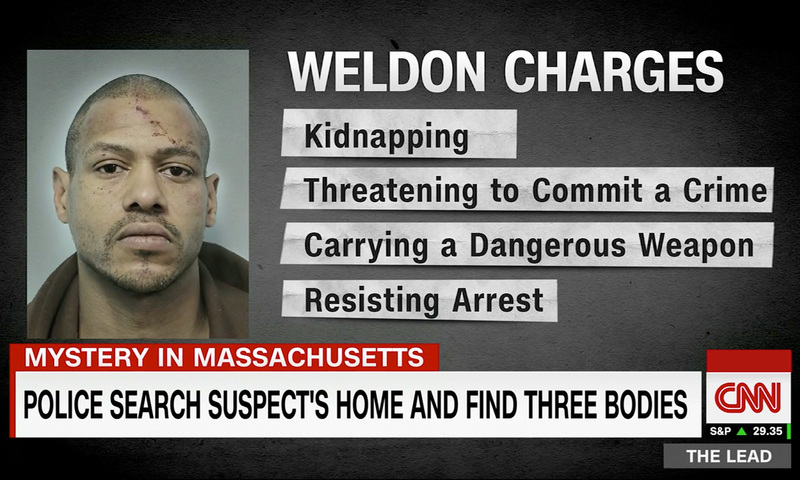 The bodies of three adult women were found at the home of a Massachusetts man who has been charged in two separate kidnapping cases, police said. “It’s tragic. It’s awful. It’s unlike anything I’ve ever seen,” Hampden County District Attorney Anthony Gulluni said Monday. The victims were identified as Ernestine Ryans, 47, of Springfield; America Lyden, 34, of Springfield; and Kayla Escalante, 27, of Ludlow. The cause or manner of their death is not yet clear, and Gulluni said they were being treated as suspicious.